I’ve read a couple books by Stephanie Kate Strohm now–in fact, IT’S NOT ME, IT’S YOU was one of my favorite reads in 2016–so I was thrilled when Disney-Hyperion approved my NetGalley request to read an ARC of LOVE À LA MODE. I mean, they’re attending culinary school in PARIS–this book checks off so many boxes for me, and fortunately it delivers. First of all, here’s the description. 1. The meet cute – Rosie and Henry’s meeting on the plane to Paris is just so adorable. 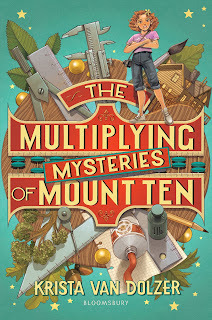 I enjoy the sparks-flying, rub-each-other-the-wrong-way kind of setup as much as the next reader, but it’s refreshing to read about two characters who immediately connect because they have something in common and genuinely like each other. 2. The developing romance – I have to admit I got frustrated sometimes with the two protagonists as the story proceeded because they wouldn’t just TALK TO EACH OTHER about what was going on. However, I also felt it was completely believable, and so even thought it was frustrating, this falls into the category of something I love about the story. It felt real to me that these two characters were struggling through life and didn’t quite know how to share it. 4. The friendship – The friendships both Rosie and Henry developed were an integral part of the book, and I loved how well-developed the characters were. 5. The family – Both Rosie and Henry had complex family situations that led to them studying at the École. In Henry’s case, his relationship with his mom and what she expected of him exhausted him mentally and physically. I really appreciated the unexpected depth this added to the story. 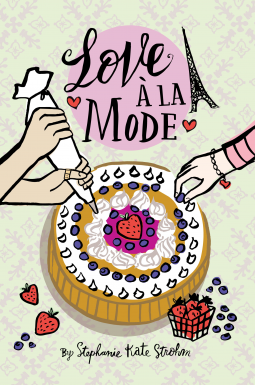 LOVE À LA MODE comes out Nov. 27 (hey, that’s my birthday! ), and I do highly recommend it. I haven’t been posting as many reviews lately because I’ve been busy with writing stuff, but this one really stood out to me as a fun read. Hopefully I’ll have others soon. Thanks again to NetGalley and Disney-Hyperion for the read! This sounds like a lot of fun. I will try to check it out. Thanks for the review.